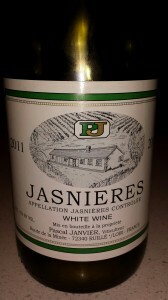 This past weekend I cracked open a fun wine from the Jasnières region of France. Jasnières, a small AOC in the Loire Valley of France, makes white wines exclusively using the Chenin Blanc grape, also known locally as Pineau de la Loire. Located due north from Vouvray, Jasnières covers 65 hectares (about 160 acres) and is made up of calcareous-clay hillsides. Chenin Blanc is a very versatile grape, producing fine wines in various styles and sweetness levels. 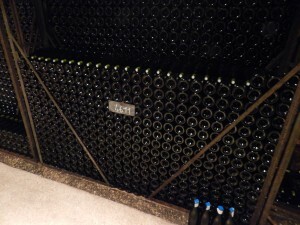 The wines of Jasnières, however, are often made dry and are known to age very well. The 2011 Pascal Janvier Jasnières has sweet red apple and a touch of kirsch on the nose. 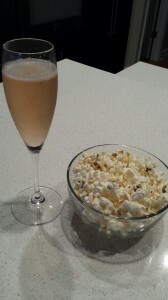 On the palate are the apple, white peach, sugared grapefruit and under ripe pineapple. On the finish I detect a touch of residual sugar, but with the mouth watering acidity of this wine it is dry on the palate. While smelling and tasting, I kept going back to my childhood with a memory of Sweet Tarts! This wine is Sweet Tarts in a glass! Pascal Janvier is obviously doing some great things in Jasnières. This tasty, complex wine is still a baby and will only get better with time. 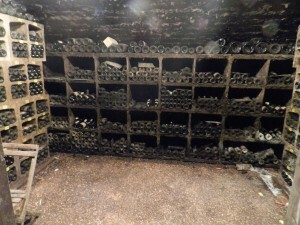 I wish that I had a case in my cellar that I could “watch” evolve over the next five or six years! If you find yourself drinking mostly Chardonnay and Sauvignon Blanc for your whites and you need a change, give the Chenin Blanc wines of the Loire a try. If you can find a bottling from Pascal Janvier in Jasnières, grab it and see what you think. I have a feeling that you won’t be disappointed! 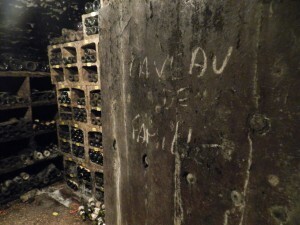 While visiting Burgundy last month, my husband and I re-visited a restaurant from our past. 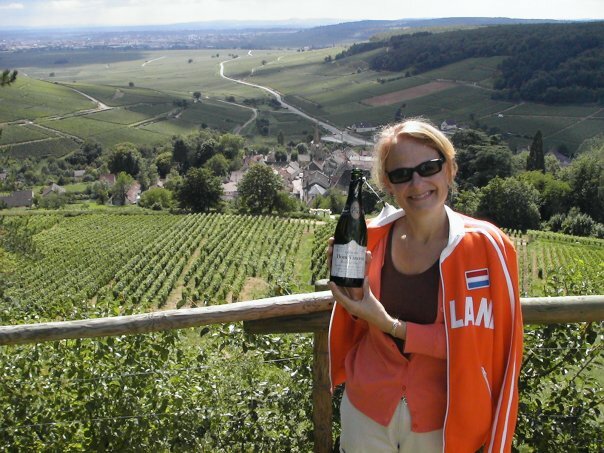 We had a wonderful dinner a few years ago at Caves Madeleine, so when we decided to visit Beaune again, we knew that we had to go back. We were not disappointed. 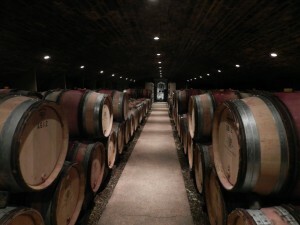 Caves Madeleine is located in the heart of Beaune. A popular spot for locals, this is a small restaurant with a long waiting list. We saw scores of hungry people get turned away. The owner, LoLo, usually has only one seating per night, but he was kind in recommending those without a reservation to head to some of his personal favorite spots. Caves Madeleine has four tables lined against one wall, with rows and rows of wonderful wine lined up against the opposite wall. Between these walls LoLo has a large communal table shared by different dining parties. No one seems to mind! The table is actually an old monk’s table that is hundreds of years old. We asked what the drawers on the sides of the table were for, and LoLo told us it was where the monks put their bread! We had one of the solo tables, and sat down to begin what we knew would be a lovely evening. We asked LoLo, who is also a Sommelier, to select the wines for us. 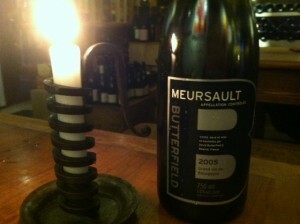 We decided to start with a local white, as I’m a lover of white Burgundy, so he brought us a bottle of the 2005 Butterfield Meursault. 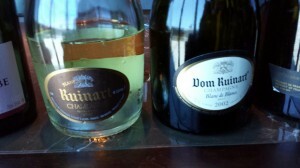 I loved this wine, and it complimented our onion tart starter beautifully. This straw colored wine has an expressive nose of white flowers, lemon curd and hazelnut. On the palate there is a lovely touch of oak, with good minerality. I was in heaven! I only wish we could purchase Butterfield wines in the States. 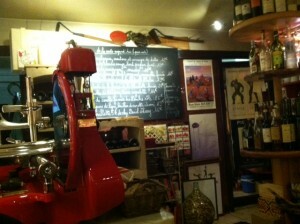 The red wine LoLo chose for us was a 2004 Domaine Simon Bize & Fils Savigny-lès-Beaune Les Fourneaux. Some raspberry and pomegranate still linger on the palate, along with some licorice. There was a wonderful smokiness that paired nicely with my husband’s entrée selection of game hen, accompanied with a cabbage and bacon salad. I ordered the black truffle ravioli, which harmonized beautifully with the earthy mushroom essence of the wine. We finished the wine with an assortment of cheeses to end the meal. We were stuffed and happy as can be. Once again, the food was divine and the service was impeccable. If you have plans to visit Beaune, France in the beautiful Burgundy region, be sure to make a reservation at Caves Madeleine for a very memorable meal. 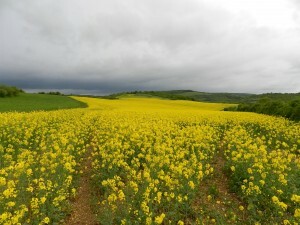 On my recent trip to France, the first destination was Burgundy. 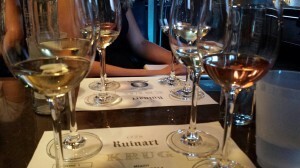 The beautiful scenery, ancient city streets and fabulous meals were only upstaged by one thing: the wine! 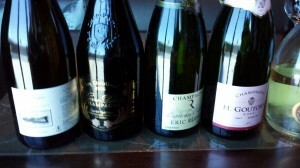 Of the many tastings we enjoyed, one stood out by far. 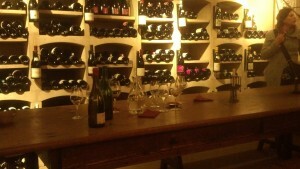 Maison Capitain-Gagnerot was not only fun to visit, but their wines are first rate as well. And we hadn’t even planned a set appointment! 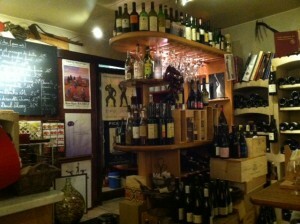 While having a quick lunch in Beaune we were chatting with our server about different wineries to visit. He told us that his wife’s family had a winery. He called and squeezed us into a French speaking tour for the next day! The small wine village of Ladoix-Serrigny sits where the Côte de Nuits and Côte de Beaune meet. This village (sometimes referred to simply as Ladoix in the wine world) has been home to Maison Capitain-Gagnerot since Simon Gagnerot founded it in 1802. 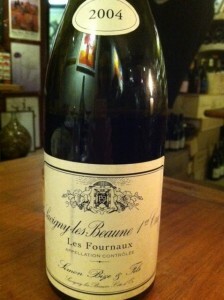 The domaine was one of the first wineries in Burgundy to actually sell estate-bottled wine directly to consumers. Traditionally wine sales went through negociants instead. Mr. Gagnerot’s son, Jean-Baptiste, later entered into a partnership with his son-in-law François Capitain. This is where the name Maison Capitain-Gagnerot comes from. Today the domaine remains a family affair. Patrice and Michel Capitain, along with Patrice’s son Pierre François and the rest of the family, run this lovely winery. 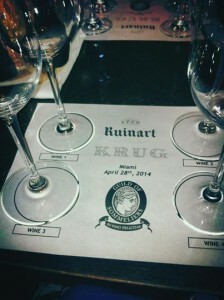 We were very fortunate to have Pierre François himself conduct our tasting. He escorted our group down into the cellar and began the presentation. My husband and I were the only two in the group who aren’t fluent in French. Luckily I speak enough to get by, and Pierre François was very gracious with making sure we understood everything. His English is superb, and so are his wines! We tasted a wide selection, starting with their 2011 Cote de Nuits-Villages and moving through their reds, tasting some of their Premier Cru and Grand Cru wines along the way. One of my favorites was the 2010 Ladoix 1er Cru “La Micaude”, which had a nice nose of currant and cassis, and strawberries and lovely acidity on the palate. I also enjoyed the 2009 Corton “Les Grandes Lolières” Grand Cru, with rich, ripe cherries on the palate, balanced with a wonderful spiciness and some earth. 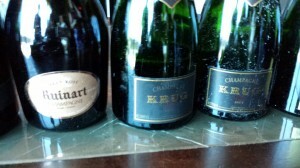 My favorite white was the 2009 Corton-Charlemagne Grand Cru. With some tropical notes on the nose, this wine has pear and peach on the palate with a beautiful hint of oak that isn’t overbearing. It also has great minerality. I had to have a bottle! After the tasting Pierre François took us on a brief tour, showing us the cellar and letting us take a peek at the Caveau de Famille, where the family’s stash is stored! 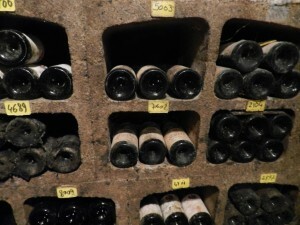 Oh the fun of seeing the dusty bottles of wine, some of which have been in the bottle for close to a century! Before moving on to our next tasting, Pierre François helped with our purchase and chatted with us for a bit. What a talented and nice guy! 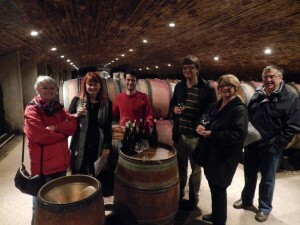 If you’re heading to Burgundy, be sure to look into setting up a tasting appointment for Maison Capitain-Gagnerot!